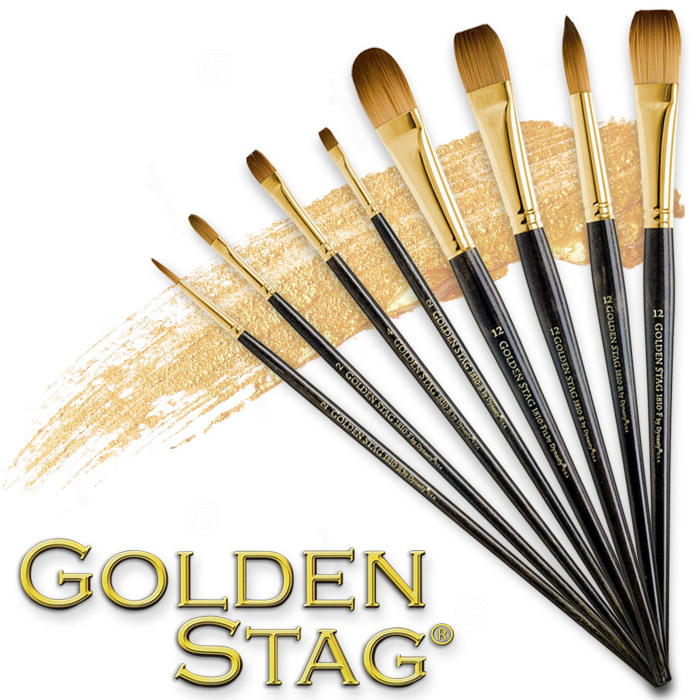 Golden Stag® has a gold-tone seamless ferrule and balanced long stained handle. 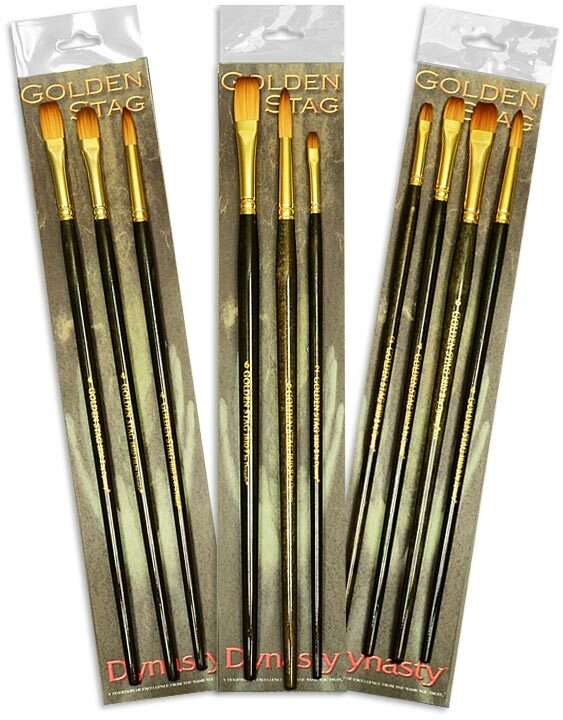 Golden Stag is a great oilpaintbrush set for heavy and medium viscosity paints. The hairs are unique, made from a super-strong blend of golden synthetic, which are made to withstand constant use. Specifically designed to hold a tremendous amount of paint and still maintain control because of its interlocked construction, this brush is designed to last. As your dedicated paintbrush company, we are constantly looking for unique and innovative ways to create brushes that offer performance and quality. 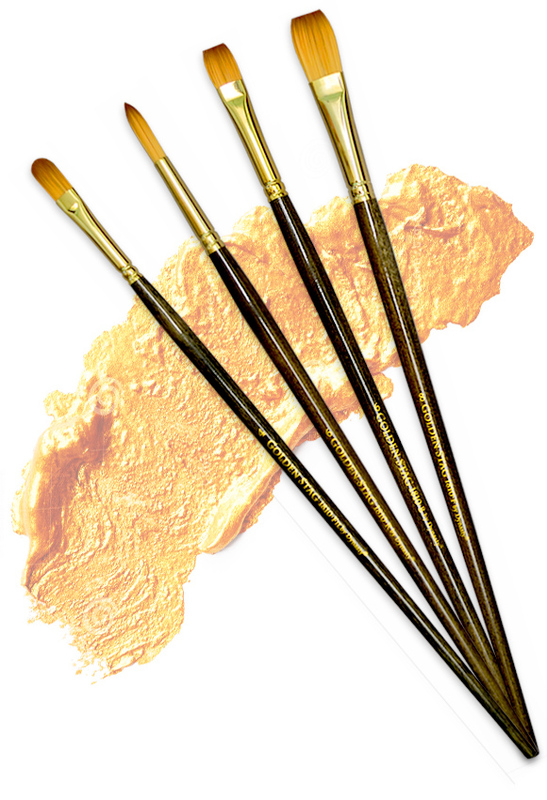 Whether you are seeking synthetic brushes or a watercolor brush set, we offer many different fine art brushes that are sure to meet your artistic needs. Contact our company today at 1 (718) 821-5939 to speak to a specialist regarding our paintbrushes and sets. We are happy to answer any questions or concerns you may have regarding our products. 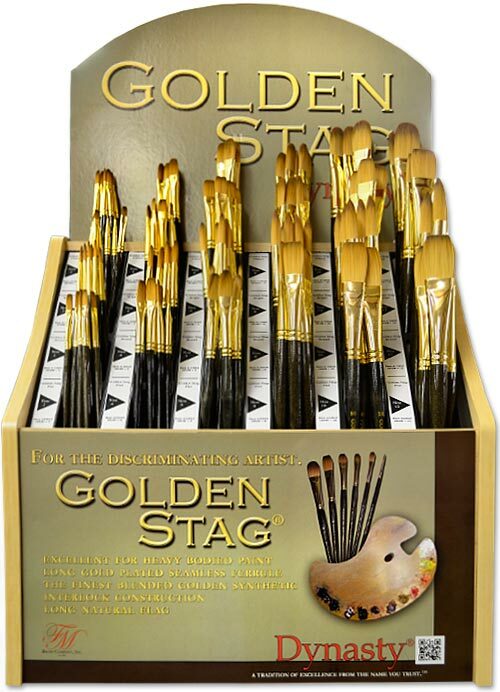 Purchase Dynasty Golden Stag Brushes At These Fine Retailers!